Ready to find our Serenity with Sokenbicha Tea! 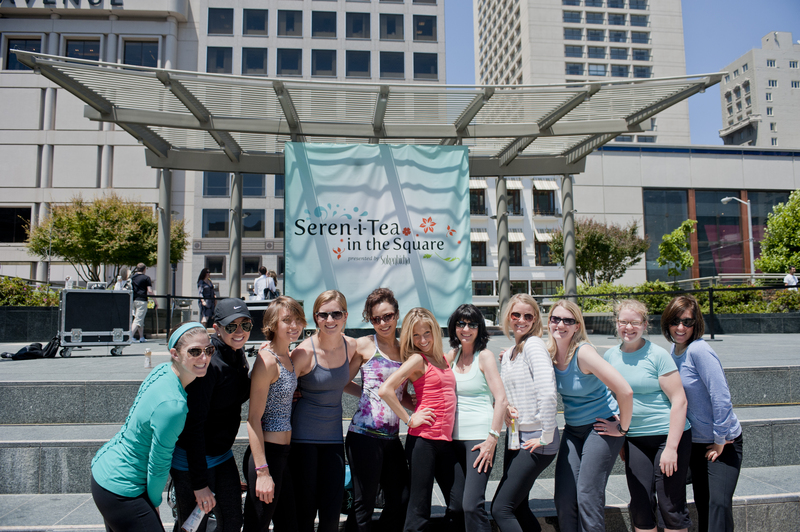 “Seren-i-Tea in the Square” was hosted by Sokenbicha Tea, Japan’s leading tea brand that is exclusively sold at Whole Foods markets nationwide. 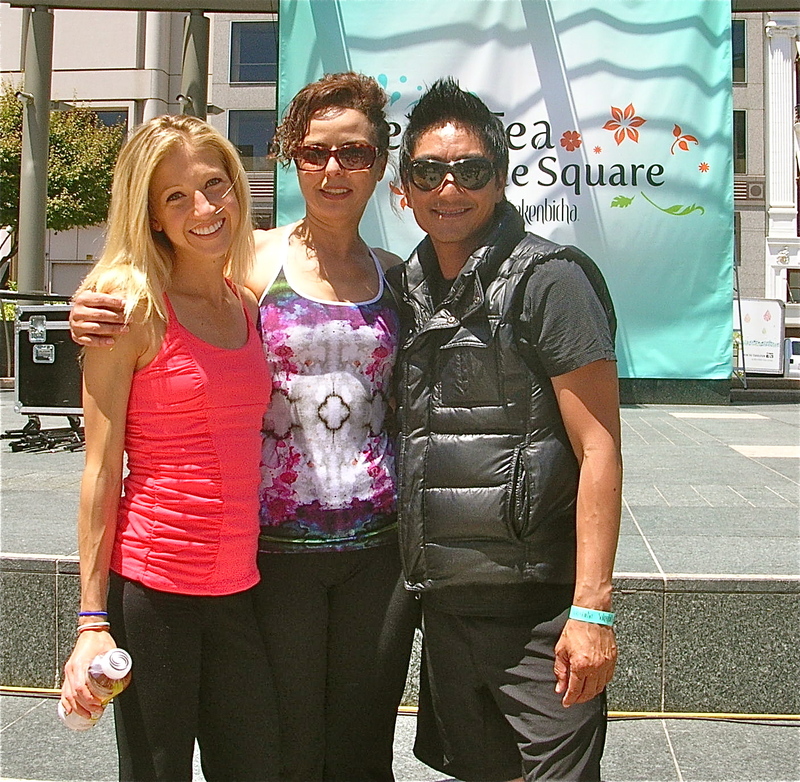 On Saturday June 25th, over 300 people joined together in Union Square to meditate, practice yoga, and find serenity in the San Francisco sunshine. Rolling out the mats for our afternoon of BLISS! Our afternoon was kicked off to a GREAT start with strong tribal beats of Taiko Drummers. 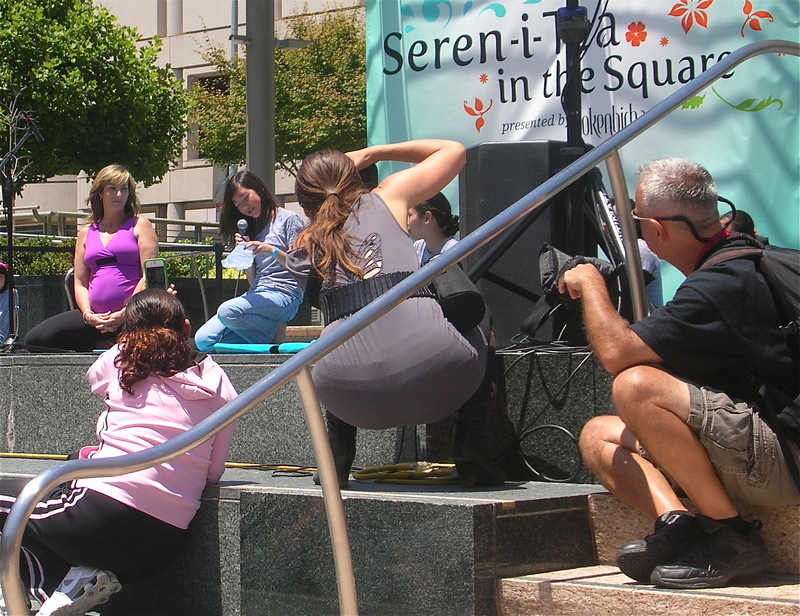 Guests rolled out their bright blue Sokenbicha yoga mats and settled into the sunshine to the drumming rhythm. 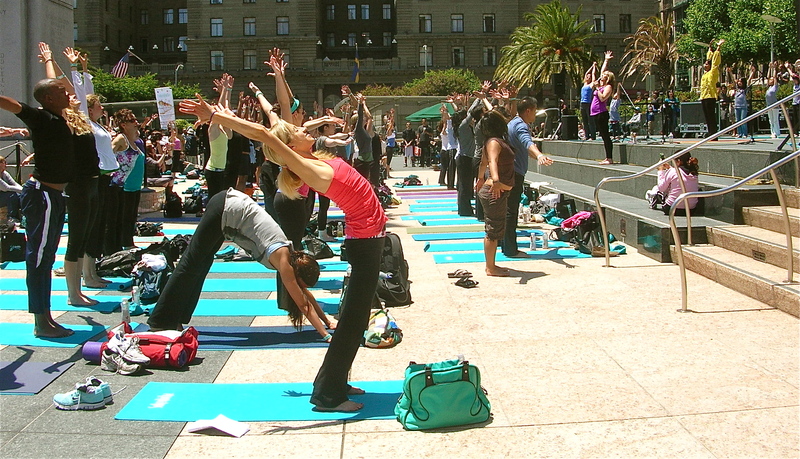 Union Square quickly became a SEA of bright blue mats, spandex, and excited guests. At 12:45, the drumming came to a stop and Mallika Chopra, founder of Intent.com and daughter of famed health guru Deepak Chopra, stepped onto the stage. Gracefully she sat down and began meditating without saying a world. This immediately signaled us all to shut up, sit down, take DEEP breaths, and experience. 300 people sitting in silence in the middle of Union Square. I could feel the sunlight on my face, a cool san francisco breeze, and the energy of a powerful moment shared among many . It was a memorable experience I’ll never let go. BEAUTIFUL. At the end of 10 minutes Mallika guided us back into reality with soft words and slow breaths. She then gave an inspiring keynote speech on the purpose and power of meditation and on setting strong life INTENTIONS. Her talk reminded us all to celebrate the meaningful things in life. To live each day with mindfulness, gratitude, intention, and grace. The children introduced our next event guest, Stephanie Snyder. 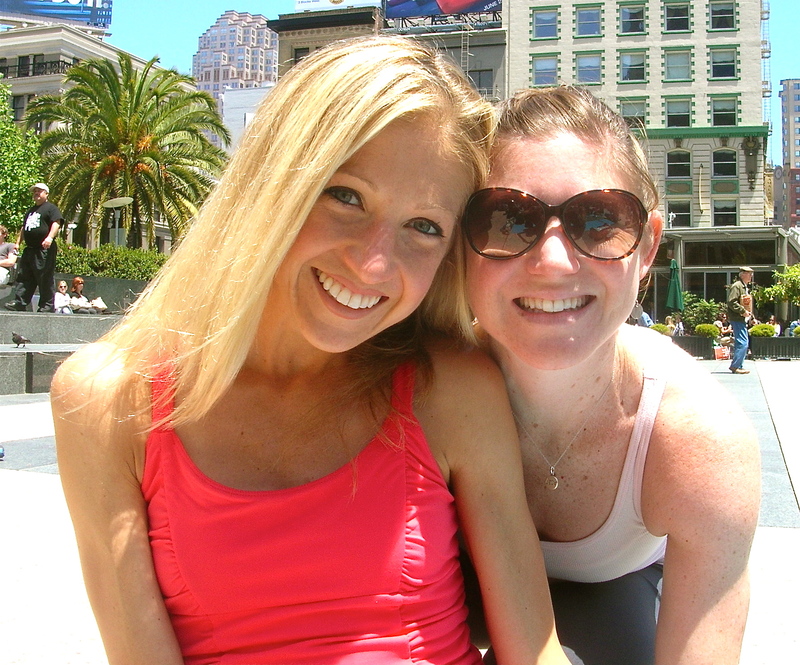 Stephanie is one of my ALL TIME FAVORITE San Francisco yoga instructors. Her teaching style is unique, challenging, and creative – filled with powerful words, philosophy, and heart-felt humor. She has the ability to teach hundreds – yet still touch every individual on a personal level. 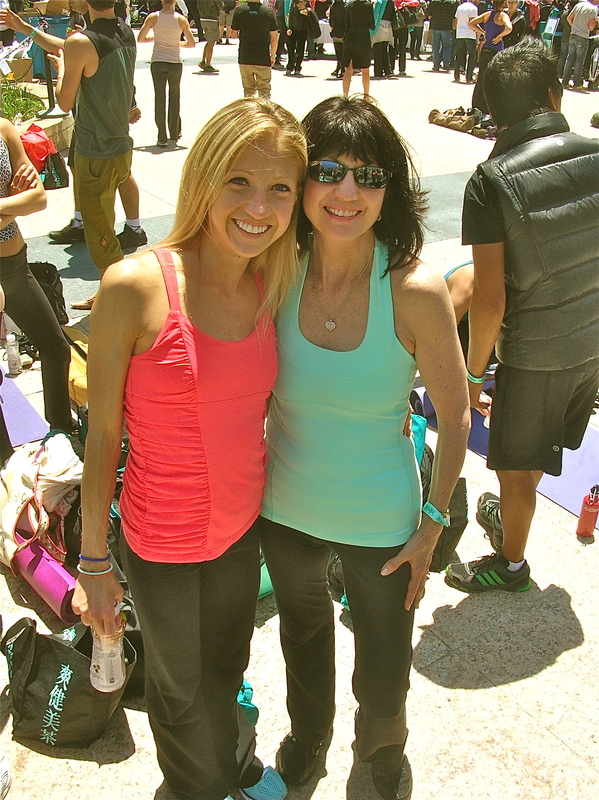 Stephanie is a truly exceptional talent, whom I wholeheartedly believe can turn anyone “on” to the power of yoga. 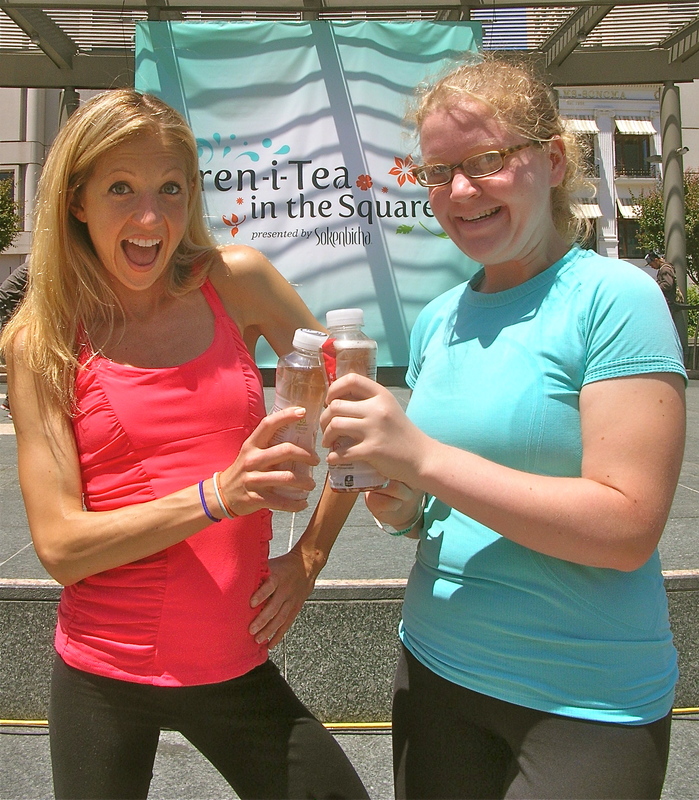 Stephanie led us through a brief sun salutation flow together in the square. It felt SO good to move in that space with everybody. 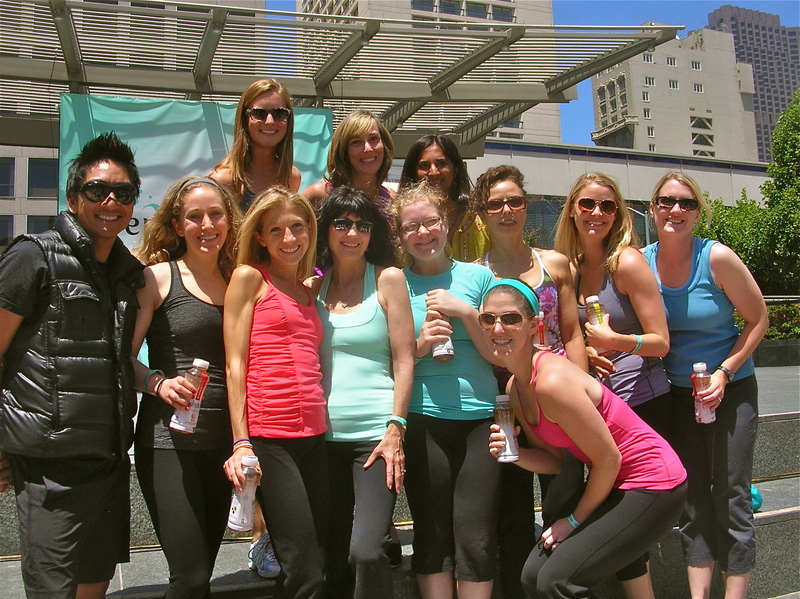 Our practice ended with Shavasana in the warm sunshine…. now THATS what I call a GOOD time! After working up a sweat from the yoga practice in the warm weather, we were invited to refresh ourselves with endless samples of Sokenbicha Tea and Pop Chips. I was excited to FINALLY try this tea after learning so much about it. 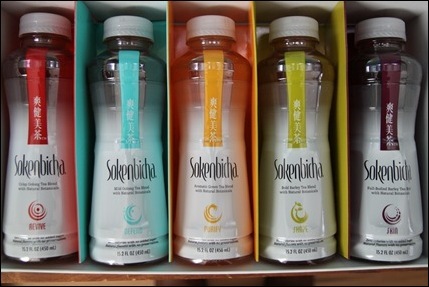 I tried ALL five flavors of Sokenbicha…. I was a thirsty yogi! All five flavors - had to taste the Rainbow! Im not usually a “bottled tea” drinker – I typically drink HOT tea in the foggy San Francisco weather. But I was surprised by all of the Sokenbicha teas. They were light, refreshing, and had a perfect balance of flavor that wasn’t overwhelming. My favorites were the sweeter flavors: Revive and Shape. I must have an “Earthy” taste! We spent the rest of the afternoon in the sunny square enjoying tea and taking pictures. It was blissful. Even my MOM came out for the event! "What a wonderful day! I loved being in the middle of that busy, frantic Union Square and meditating with Mallika Chopra. The sirens, city bustle noise seemed to quite down and I'm sure that some passerbys were inspired to embrace silence amid the city chaos. "I LOVE YOU MOM! With VIP guest, Laura. "Thanks to YOU, Caroline! It was a fun event! I particularly enjoyed the group meditation because I have never been a part of meditation that includes hundreds of people around the world--all focused on the same peaceful introspection at the same time. Very cool!" With VIP guest Kristine. 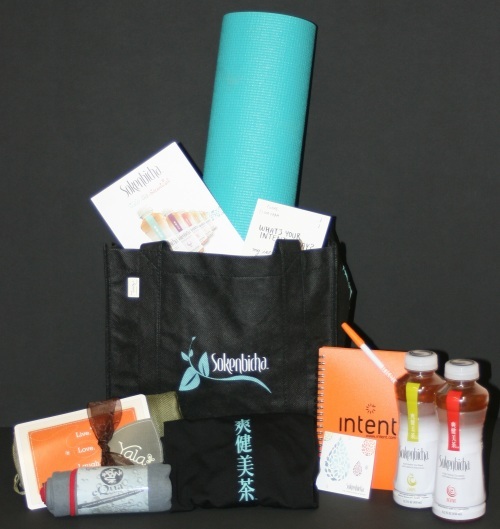 Read about her experience with Sokenbicha HERE. With VIP guest Buddy. "It was a GREAT time! Exactly what i needed. THANK YOU!" VIP with my good friend ABBY!! With VIP Amy, "Thanks again for such a cool experience! I had a wonderful time! 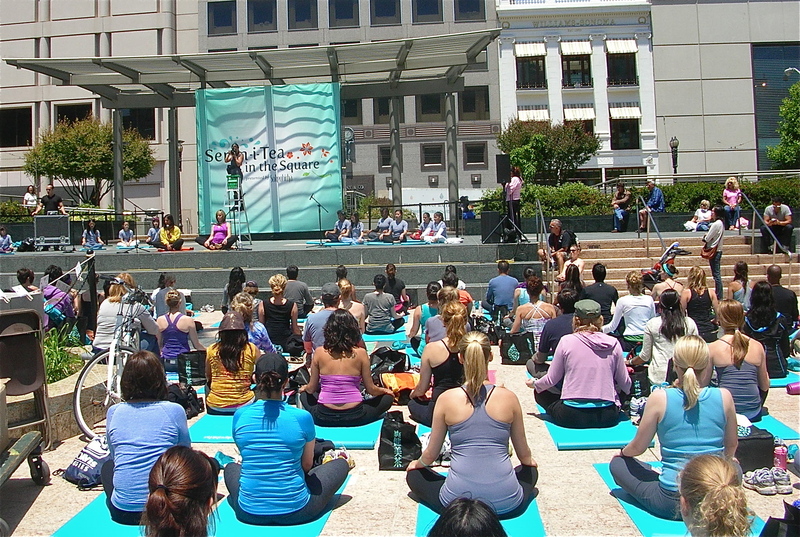 Meditating in a group in the middle of Union Square was such a unique experience! 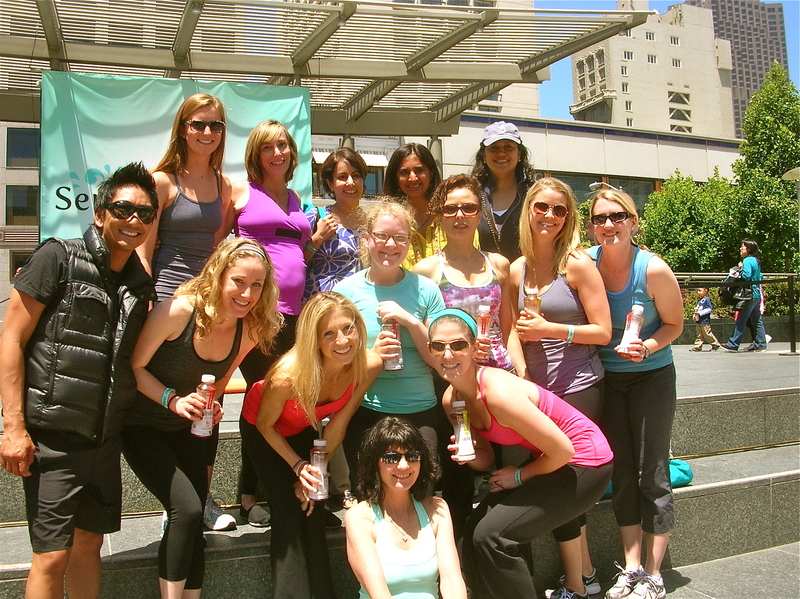 Mallika and Stephine did an amazing group creating calm in the middle of a ton of chaos! It was such perfect weather and so convenient having yummy tea to help beat the heat. " Special VIP (and AMAZING website designer!) 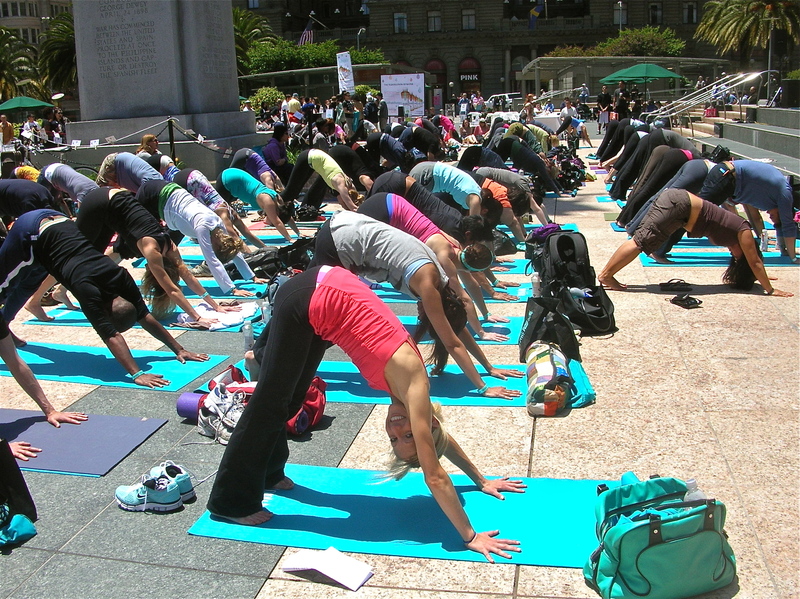 Melissa Kelly "Doing yoga in Union Square was definitely a unique experience that I really enjoyed. It was so great out in the sun; I'm glad they gave us sunscreen. It put me in such a great mood, and I felt great all day." VIP with Soodie and Buddy. Great time with you both! I feel so lucky to have had the chance to participate in such a wonderful event. SENDING A BIG THANK YOU to Sokenbicha, Mallika Chopra, and Stephanie Snyder for hosting us and providing such a unique and powerful experience. 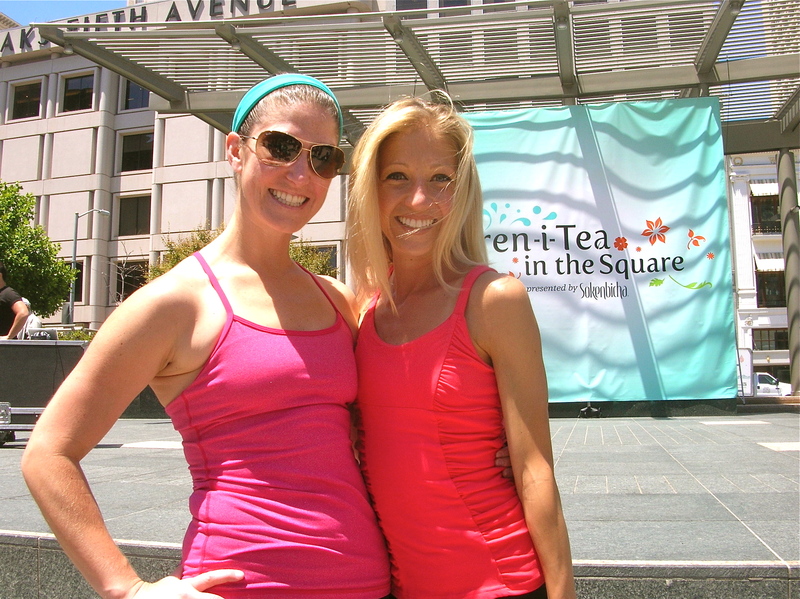 Hope someday we meet again to share yoga, tea, and PEACE in the sunshine!! Fabulous, fabulous blog post!! I love it! Had so much fun with you!